I am reading this book for the benefit of my Grandchildren. Each Chapter of the Chaplains and Clergy is a separate video that is linked to each Blog Post as they are completed. Why am I doing this for all to see? Download the free PDF version of “Chaplains and Clergy Of The Revolution” Compiled by J.T. Headley and Published in 1864. Election Sermons, Preached after the Assembling of the Continental Congress and Organization of Colonial Government. —Rev. Wm. Gordon. —Rev. Samuel West, of Dartmouth, in 1776. —Bold Appeal. William Tennent. —His Birth and Education. —Settled at Norwalk, Conn.—Removes to Charleston, S. C. —His Eloquence. —His Boldness and Zeal in the Cause of the Colonies. —Makes Patriotic Appeals on the Sabbath. —Is Elected Member of the Provincial Congress of South Carolinia. —Sent with Henry Drayton to Back Settlements to Baffle Tories. —Letters to Henry Laurens and Congress. —Again sent to Congress. —His Character. Peter Gabriel Muhlenburg. —FightingClergymen.—Muhlenburg’s Birth and Education. —Goes to England. —Settles in Virginia. —Takes a prominent Part in Political Movements. —Becomes Member of the House of Burgesses. —Raises a Regiment, Of which he is Chosen Colonel. —Preaches his Farewell Sermon. —Orders the Drum to BEAT for Recruits at the Church Door. —Marches to Charleston. — Camps at Valley Forge. —Fights bravely at Brandywine. —At Monmouth. — Commands The Reserve at Stony Point. — Makes a Desperate Assault At Yorktown. —Is made Major General. —Political Career After the War. —Defence of Course in Abandoning Profession. Thomas Allen. —His Birth and Education. —Settles in Pittsfield. —Takes decided Part with the Colonies. — Is made Chairman of the Committee of Safety and Correspondence. —His Labors. —His Iinterest in the Conquest of Ticonderoga. —New and Interesting Letter to Gen. Seth Pomroy. —Joins the Army as Chaplain. —His Diary at the Battle of White Plains. —Goes to Ticonderoga. —Address to the Soldiers when Expecting an Attack. — His Disgust at the Retreat. —Rallies the Militia to the Aid of Starke, at Bennington. —Summons the Enemy to Surrender, and is Fired At. —Fights in the Ranks. —First Over the Breast-Work. —His Care For the Wounded. —Returns to His Parish. —Dialogue With a Parishioner. — Voyage to England After an Infant Grandchild. —Prays With and Addresses the Crew in Expectation of An Attack. —His Conduct in the Shay’s Rebellion. —His Statesmanship. — His Death. John Rossburgh. —An Irishman By Birth. —His Education. —Is Settled At. “Forks of the Delware.” — His Patriotism. — Joins A Company formed in his own Parish as a Soldier. —His painful Parting with His Wife. —Makes His Will. —Chaplain of a Regiment. —Marches Against the Enemy. —Is Taken Prisoner, and Murdered While Praying for His Enemies. —the Mutilated Corpse Stealthily Buried. —His Letters to His Wife Just Before A Skirmish. —His Character. Abner Benedict. —His Birth and Education. —Settled at Middletown. —Becomes Chaplain in the Army at New York. —Description of a Terrific Thunder-storm. —the Battle of Long Island. —His Feelings. —The Last to Leave the Shore in the Retreat. —Inventions in Submarine Navigation. —Manufactures Saltpeter for Powder. —Elected Professor in Yale College. —His Character and Death. 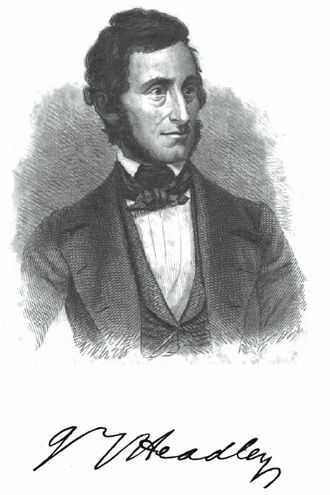 William White, D.D. —His Birth and Early Studies. —Goes to England. —Friend of Goldsmith and Johnson. —Settled in Philadelphia. —Takes the Oath of Allegiance. —Noble Determination. —Elected Chaplain of Congress. —His Conduct after the Revolution. —Is made Bishop. —His Character and Death. Naphthali Dagget. —Professor of Divinity in Yale College. —The College broken up. —Invasion of Tryon. —Terror of the Inhabitants. —A Company of a Hundred Young Men raised to resist Him. —Dr. Dagget and his Black Mare. —Advances alone to Reconnoiter. — The Fight. —The Retreat. —Dr. Dagget refuses to run. —Interview with the British Officer. —Forced to guide the Column. —Brutal Treatment. —Rescued by a Tory. —His Sickness.—Death. Ezra Stiles. —His Prophecy Respecting The Colonies, In 1760. —President Of Yale College. —Chancellor Kent’s Eulogy Of Him. —His Patriotism. —Keeps A Diary Of Revolutionary Events. —His Death. Joel Barlow. —Early Education. —A Friend of Dwight. —His Poem, “The Prospect of Peace.” —Becomes Chaplain. —Writes Patriotic Ballads. —”Hymns for Yankee Rebels.” —The Burning of Charlestown.” —Occupation in the Army. —Friend of Washington. —Sermon on Arnold’s Treason. —Becomes Lawyer and Editor at Hartford, Connecticut. —Revises Watt’s Psalms and Hymns. —Agent of Scioto Land Company. —Visits England and France. —In French Revolution. —Occupations in Europe. —Consul at Algiers. —Makes a Fortune in France. —Returns to America. —Remarkable Prophecies in his Columbiad. —Minister to France. —Charge of Religious Apostacy..
James Caldwell. —His BlRTH and Ancestry. —Personal Appearance. —Power of his Voice. —His Character. —His Congregation at Elizabethtown. —Made Chaplain. —His Toast on the Reception of the Declaration of Independence. —His Activity. —Rewards offered For His Capture. —Remoyes To Connecticut Farms. —Goes Armed. —Letter To Lee. —Assistant Commissary General. —Last Interview With His Wife. —His Murder. —Fight At Springfield. —“Give ‘Em Watts.” —Murder of Caldwell. —His Funeral. —His Children. —Monument To Him. Benjamin Trumbull. —His Birth And Education. Takes Sides with the Colonies. —Enters The Army As Chaplain. —Fights In The Ranks. — Curious Interview With Washington.—Fights At Whiteplains. —Anecdotic. —Fights At New Haven.—Returns To His Parish. —Writes The History of Connecticut. —His Death. —His Publications. Samuel Kirkland. —His Birth and Education. —A Teacher in Dr. Wheelook’s School. —Goes a Missionary to the Indians of New York State. —His Labors and Perils. —His Mission Broken Up By the Revolution. —Employed By Congress To keep the Indians From Joining The British. —Prevented By Brandt. —A Chaplain In Sullivan’s Brigade. —Accompanies It To Genesee Flats —His Services rewarded By Congress. —Settles Among The Oneidas After The War. —Founds Hamilton College. —Is thrown from his Horse. —His Death. John Gano.—The Baptists of Virginia. —Gano’s Early Life. —Visits the South and Preaches. —Arraigned for it, but is Acquitted and Licensed. —Anecdotes Of His Coolness and Courage. —Settled in North Carolina. —Offered a Captain’s Commission in the Army Against The Cherokees. —Declines. —Returns North. —Finally Settles in New York. —His Congregation Broken Up. —Joins the Army as Chaplain. —Under Fire At White Plains. —At Trenton. —Chaplain Under Clinton at Fort Montgomery. —With Clinton’s Brigade at Albany. —Its Chaplain. —In The Expedition Against The Indians. —Anecdotes of Him in this Campaign. —Sermon On The Fourth of July. —His Faithfulness. —South with the Army.—Advancing Against Cornwallis. —Returns to his Church at the Close of the War. —Removes To Kentucky. —His Death. Charles Cummings. —An Irishman By Birth. —Settles in Virginia. —Enters The Ministry. —Fights the Indians. —Goes armed To His Church. —Takes the Lead in the Political Movements of the People. —Chaplain To The Army in The Expedition Against The Cherokee. —His Death. Daniel McCalla. —HisBirth. —Graduates At Princeton when Eighteen Years of Age. —Studies for The Ministry. —Settles In Pennsylvania. —Appointed Chaplain Under General Thomson. —Is Take Prisoner in the Attack on “Three Rivers.” —Released On Parole. —Flees To Virginia. —Settles In South Carolina. —His Death. John Witherspoon, D.D. —The Clergy as Statesman. —Witherspoon A Scotchman By Birth. —His Early Live. —Is Licensed To Preach. —Joins The Army Of the Pretender. —Taken Prisoner at The Battle of Falkirk. —Eminence As A Theologian. —Elected President Of Princeton College. —Flattering Reception In This Country. —Takes Sides With The Colonies. —Elected Membre Of The New Jersey Legislature. —Scathing Attack On Governor Franklin. —Elected Member of Congress. —His Speech On The Declaration Of Independence. —His Great Services In Congress. —His Death. David Avery. —His Birth and Character. —Converted Under Whitfield. —Leaves His Trade To Study For the Ministry. —Enters Dr. Wheelock’s Charity School. —Graduates At Yale College. —Studies Divinity. —A Missionary Among The Indians. —Settled At Gaysboro, Vermont. —His Patriotism. —Raises A Company and Marches To Boston. —Made Chaplain. —Noddle’s Island. —Present At The Battle of Bunker Hill. —Praying For Victory. —Accompanies Washington Through The Jerseys. —Wounded At Trenton. —At Valley Forge. —At Ticonderoga.—At Bennington. —His Death. Israel Evans. —His Character. —Ordained Chaplain In The Army. —Remains With The New Hampshire Brigade Through the War. —Stands Beside Washington At Yorktown. —Anecdote Of Him And Washington. —His Sermon On the field of Battle. —Settled At Concord, New Hampshire. —His Death. Cotton Mather Smith. —His Birth and Parentage. —A Teacher Among The Indians. —Studies Theology. —Is Settled At Sharon, Conn. —Influence Of The Clergy of Connecticut In Bringing About the Revolution. —his Views Of the Struggle Between the Colonies And Mother Country. —The Part He Took In It. —Patriotism Of His Congregation. —Is Made Chaplain, and Marches To Ticonderoga. —His Devotion to the Sick. —Seized With The Camp Fever. —Returns Home. —Invasion of Burgoyne. —His Sermon Just Before the Final Victory At Saratoga. —Thrilling Scene. —His Character. —His Death. Judah Champion, The Pastor of Litchfield, Connecticut. —His Prayers for His Country. —Extraordinary Scene in Church on the Arrival of News from the Army. —Women “Working on the Sabbath to Prepare Garments for the Soldiers. —The Pastor on the Field of Battle. Moses Allen. —His Early Life. —A Friend Of Madison. —Settles in Midway, Georgia. —His Patriotic Efforts. —Chaplain In The Army. —His House and Church Burned. —In The Battle Before Savannah. —Is Taken Prisoner. —Confined on Board A Prison Ship. —His Sufferings. —Brutality Of His Captors. —Attempts to Escape. —Is Drowned. —Denied Decent Burial. Benjamin Pomeroy. —His Early Life. —Becomes A “New Light.” —Is Persecuted By The State, And Finally Deprived of His Salary. —Becomes Chaplain In The French War. —His Letter to His Wife Describing the Execution of a Criminal. —At Seventy Becomes Chaplain In the Revolutionary Army. —His Venerable Appearance. —Touching Appeals. —His Death. John Rogers. —His Reputation Abroad. —His Patriotism. —Introduction to Washington. —Chaplain in Heath’s Brigade. —Resigns and Goes to Georgia. —On His Return made Chaplain to the New York Provincial Assembly. —Becomes Member Of the Legislature.—Chancellor of the Regents of the University. George Duffield.—Descended from the Huguenots. —Studies for The Ministry. —Is Settled In Carlisle. —His Parishioners go Armed To Church. —His Patriotism. —Settles In Philadelphia. —King’s Magistrate Attempts To Stop His Preaching. —Is Brought Up Before The Mayor On Charge of Riot. —Excitement of the People. —His Popularity With members of Congress. —Stirring Address. —Becomes Chaplain In the Army. —Preaches to the Soldiers From the Forks of A Tree. —Buries A Brother Chaplain Who Has Been Murdered. —Narrow Escape. —Example Of His Faith. —His Death. David Sandford. —His Patriotism. —His Personal Appearance. —His Eloquence. —Gives His Salary to the Cause of Liberty. —Becomes Chaplain. —Expressive Countenance. —Anecdote Illustrating It. —Stern Rebukes. —His Piety. —His Death. Nathan Ker. —His Birth and Ancestry. —Anecdote of his Grandfather. — His Patriotism. —Abjures all Allegiance to Great Britain. —Tories and Indians. —Massacre at Minisink. —Slaughter of Mr. Ker’s Congregation. —Anecdote of Him and Lafayette. —A Friend of Washgton. —Loans the Government Eight Thousand Dollars, For Which He Received Nothing But “Old Liberty.” —Celebration At The Close of The War. William McKay Tennent. —Uncertainty as to his Identity With the Subject of the Following Sketch. —Patriotic Sermon Delivered Before the Troops at Ticonderoga. —His Career After the War. —His Death.